In a New York Times column, Paul Krugman observed that Donald Trump is implicitly promising to make America “white again.” This inspired the graphic below. Click on the image for a larger view. 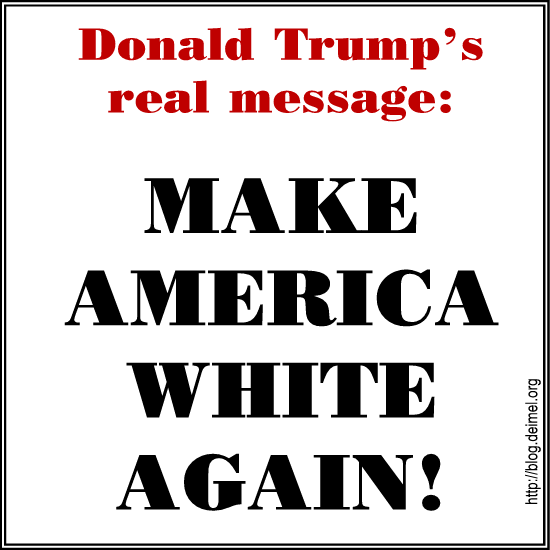 Make America White again, so what's wrong with that? The statement "It's OK to be White", is that something that irks you? Your thoughts on this topic, fella. There’s nothing wrong with being white. There is something wrong with believing that there is something wrong with you if you’re not white or that you should have fewer rights if you are not white.